"Rendezvous of the John Smith Shallops"
To commemorate the 400th Anniversary of the first English settlement in the New World and the epic voyage of exploration and discovery by Captain John Smith and his shallop crew to chart the Chesapeake Bay. This public event is being hosted by the Fishing Bay Yacht Club and the Deltaville Community Association. This celebration will bring together three shallops that have been built by the Deltaville Maritime Museum, the Reedville Fishermans Museum and the John Smith Four Hundred Project/Sultana Projects, Chestertown, MD. In conjunction with National Geographic Magazine, these three institutions will host interactive displays explaining their interpretation of the shallops that have been constructed. 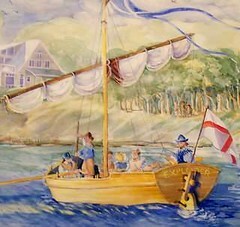 10 AM to 4 PM Interactive Display of the Sultana Projects re-enactment of John Smiths exploration of the Chesapeake. 6:30 PM to 8:30 Pm Welcoming reception with refreshments for the crews of the shallops. The $25 donation per person charge will benefit the three museums involved in the exploration project. 10 AM to 4 PM Interactive Displays again open to the public. 12:00 PM Historical presentation of John Smiths visit to the Piankatank River followed by a rowing and sailing demonstration by the shallops on the water off Fishing Bay Road. 2:30 PM Presentations and awards on the clubhouse lawn. There will be additional participants and displays from other museums including the Jamestown Settlement and the Middlesex County Museum. One of the ships from the Jamestown Settlement is expected to be on display at the FBYC dock. Refreshments will be available. In 1608, the Chesapeake Bay Watershed was a wild, verdant country spanning rich and endless marshlands, towering forests, and thousands of miles of fresh, salt, and brackish waters. Populated by communities of Native American Indians who thrived on the environmental largesse offered by the fertile soils and tidal waters, the Chesapeake John Smith explored was a land of environmental and cultural abundance. Having left the struggling Jamestown colony behind, Smith and fourteen crewmembers embarked in 1608 on a 1,700-mile journey that would help to redefine the European concept of the New World. John Smith's voyage of the Chesapeake was the first comprehensive exploration of the region by a European settler, and the detailed, amazingly accurate map of the region he produced in 1612 was the seminal guide to the Bay used well into the end of the seventeenth century. In commemoration of the 400-year anniversary of Smiths extraordinary voyage of exploration, Sultana, Inc., a non-profit educational organization based in Chestertown, Maryland, has constructed a replica of the vessel Smith and his crew used to navigate the Chesapeake. The recreation of Smith's "Discovery Barge" is a thirty-foot open boat, or "shallop," that was constructed at the Sultana Shipyard under the direction of master shipwright John Swain. The shallop was launched on November 4, 2005 in Chestertown. 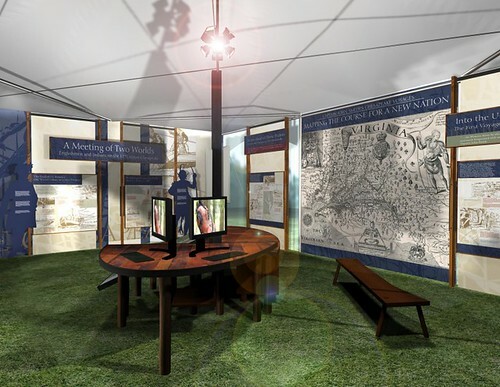 The culmination of the Captain John Smith Four Hundred Project will take place in May 2007 when fourteen modern-day explorers, historians, naturalists, and educators set out in the shallop to recreate Smith's 1608 voyage. The crew will retrace the route that Smith and his crewmen took, powered only by oar and sail, and stop at 31 ports in Maryland, Virginia, Delaware, and Washington, D.C. along the way to educate the public on Smith's legendary voyage. On August 25-26, the shallop will be in Deltaville during the reenactment of Smiths exploration of the Piankatank River and nearby Stingray Point where he was wounded by a stingray. At this time, FBYC and the Deltaville Community Association will host a Shallop Rendezvous with the participation of similar vessels constructed by the Deltaville Maritime Museum and the Reedville Fishermans Museum. 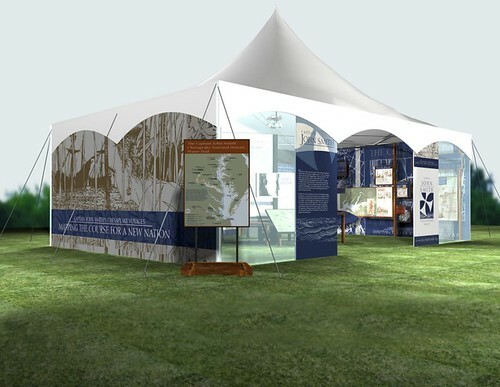 Accompanying the shallop will be an interactive 20 x 30 ft. exhibit tent offering a wide variety of educational content including a timeline of John Smiths Chesapeake exploration, descriptions of the Native Americans of the Chesapeake region in 1608, and information on the ecology of the Bay during the seventeenth century and today. Visitors to the exhibit can watch a short film about the voyage on overhead televisions, learn about John Smith and the Chesapeake on interactive computer stations, and find out more about what their local region was like in 1608. Shallop crewmembers will also be an educational resource, and visitors will be able to speak with them at each port visit about John Smith history and their experiences on board the shallop.